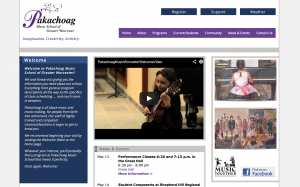 We are honored to launch a new WordPress site today for Pakachoag Music School of Greater Worcester! This is a special honor for me, as I was a member of the faculty at Pakachoag for several years, and have helped them keep their web presence moving forward for quite awhile. The new WordPress installation allows Sarah Smongeski, Executive Director, and her staff, to keep timely info always available to students, faculty, and the public. The new site complements the School’s growth over the past 10 years (since our original site was unveiled in 2003), providing current and prospective students and donors with easier and quicker access to an increasingly wide array of program, event and community support information. For me, personally, the web site is a great visual of how the support of the larger community is contributing to sustaining a robust, regional program serving over 40 communities stretching from Bolton and Southborough to Sturbridge and northern Rhode Island and Connecticut. Check the site out today, and if you or your child is looking for top notch music instruction, you’ll be glad you paid them a visit! Your website is open 24-7. Even when you are making sales visits, helping clients, eating or sleeping, your website is open for business and selling your product or service. Your website is your identity. Those “yellow” books that list businesses are a thing of the past. People who are looking for what you do will Google you. Period. Online advertising reaches more people and is cheaper. Compare the ongoing costs of a website (especially one you can edit on your own) to print ads, television, billboards, etc. And who looks at those? Reach further. Remember, it is the WORLD wide web… your reach is only limited by what you offer. Be relevant. With blogs and editable websites, you can have your most current info in front of potential customers, today! Stand out! With a well-designed website, potential customers see that you take your business seriously, and will then seriously consider you. In an age where more and more social sites compete for our attention, the standard website is still the expected .com location for all serious businesses. This article (a little dated, but still so true) sheds some more light on the importance of a good website for your business: Why You Need a Website. And, don’t forget to contact us to discuss your own website needs. It’s what we do! We are proud to launch another new NFR website. 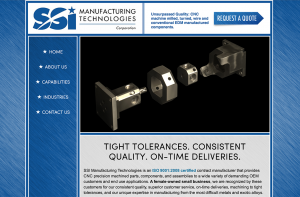 This Spring, SSI Manufacturing Technologies, in Bristol, CT, was ready to create an online presence that truly represents what they do. Specializing in machining parts and components to ultra-high precision and tolerances, SSI serves many industries, from oil production, to firearms, to medical. The parts they fabricate are often a tiny part of a larger item, but must be created to exacting standards in order for that item to work properly. SSI’s leadership needed a website that conveys that exacting quality, and better yet, makes those parts look like works of art (because they are!). We were privileged to work with them on this site, both in design and content development, yielding a new WordPress website that shows unsurpassed quality. Check them out at www.ssimanufacturing.com! 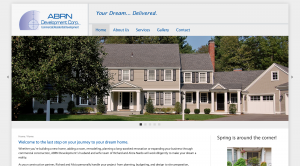 North Forty Road is proud to release a new website for ABRN Development, a high-end contractor and homebuilder in MetroWest Boston. We’ve worked with ABRN on a number of projects over the years, and now was the time to replace their older Flash-designed website – it looked great, but was totally invisible in iPhone/iPad. Our new website provides a fresh and updated view of our company and services. We were looking for something clean and image driven and that is exactly what our new site is. I love having the administration tool at my command so updates are easy to make and announcements can be made timely to our industry and clientele. Our new project inquiry form allows us to capture very important information at the first point of contact which will allow us to better serve potential new customers. Check out the new ABRN Development site today, and contact us if you’d like to discuss a similar new web presence for your business! We take the time to learn about you. No free tool or design is going to capture your business goals, your unique tastes, your “look.” Your logo, business cards, website and more need to reflect the “you” of your business. What we learn about you is the real deal. The internet is chock-full of websites that are impersonal, generic, and lack vision. Your website can stand out from the crowd simply because it is genuine and sincere. People spot that personal touch immediately, and respond. You’ll be proud of your site, and of your business. Because you have taken the time to work with us on a custom design that truly expresses the “you” of your business, you’ll use it more, you’ll promote it more, and your business will grow from the inside out. 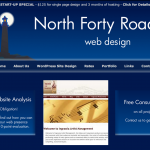 I’m glad to talk through the exciting process of designing a custom website. Contact us any time for advice, for an evaluation of your current site, or to hear success stories from our happy clients. We’re here to help! 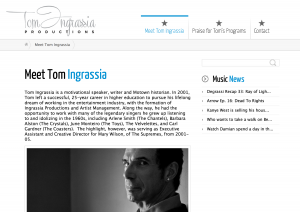 We’re thrilled to release a new template-based WordPress site, for Tom Ingrassia Productions. 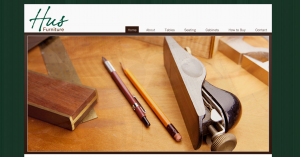 Tom is a long-time friend and client, and this new site is his fourth brand revision. We were able to create a new logo that truly speaks to his business and image, and incorporate it into a responsive pre-existing WordPress theme. Check out www.ingrassiaproductions.com! We’re happy to discuss your needs for branding and image, and to truly get to the heart of your business with the latest internet tools. Contact us today for your free consultation. While my firm specializes in custom, high-end WordPress designs, we also occasionally recommend the use of pre-designed themes for WordPress. For those with budget constraints, this may be a perfect alternative. WordPress, of course, delivers the best platform for small business websites, allowing you, the site owner, to edit and change your website through an easy-to-use web control panel. Add your own pages, add your own images, play with the menus – it’s all in your control! Lower-cost websites with pre-designed themes that you essentially pick from an online “catalog” make WordPress accessible to businesses with tighter budgets. And, although you may not be able to brand the site exactly as you imagine, there are many, many quite good site designs to choose from. 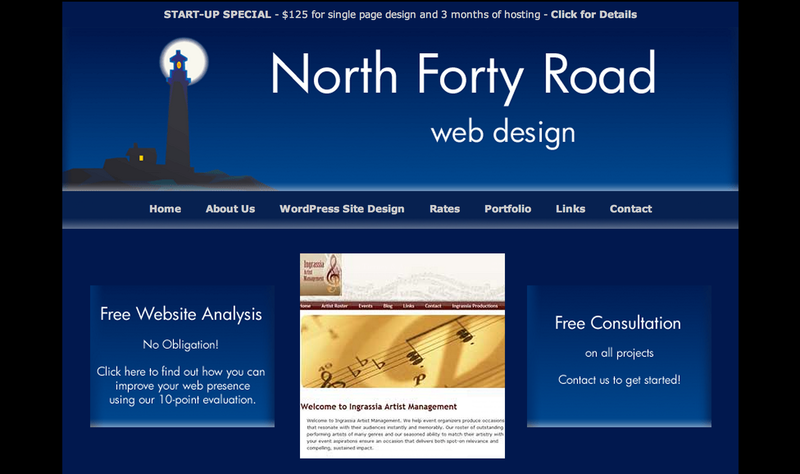 Best of all, once you have a fully-functional WordPress website, you can upgrade to a custom design when budget allows. We’d be glad to discuss this option with you, and help you weigh the pros and cons of both types of design. In the end, you want a site that looks great, represents your business (and you!) well, and helps drive more visitors into your world. If you have an Android phone, iPhone or iPad did you know there is a version of WordPress for your device? If you have a WordPress site, this means you can log in to your site on your mobile device and make changes and updates. Having mobile access to your blog is really handy, and having a slick mobile app that takes full advantage of your mobile’s interface makes it easy. Both apps allow you to edit your blog and update your content. You simply enter your site’s URL (web address) and your username and password, and the app connects to your site and downloads your recent content. From there, you can add new content and edit old content. WordPress remains a great tool for your business, and with these mobile apps, WordPress is even easier to use. Contact us if you have any questions or would like more ideas on how to get the most out of WordPress.